An estimated 9 million people in Britain suffer anxiety related to flying, which can lead to panic attacks before or during the flights. If the traveller finds the fear of flying to be a problem it can have lead to turning down holiday opportunities or affecting employment when this requires overseas travel. For disabling 'fear of flying' hypnotherapy and cognitive behavioural therapy can help - see 'hypnotherapy for fear of flying'. 'Fear of flying' courses are available through some airlines. See British Airways whose courses include a supervised short flight. In confined cabin space, especially in cramped economy class, emotional upsets are common and this may occasionally lead to aggressive behaviour (so-called air rage). Cabin staff are usually trained to manage air rage, by spotting early signs, careful handling, sometimes physical restraint and even occasionally arranging a diverted landing to allow the passenger to be escorted from the plane. Drinking alcohol heavily before departure and on board as well as nicotine withdrawal in heavy smokers have been implicated in the development of 'air rage'. There is a small but increased risk of DVT when we are immobile for long periods. This applies not just to air travel but also long bus or train trips although it may be easier to break these sorts of journeys and walk around to take exercise. 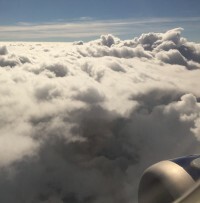 DVT during or following travel is uncommon but more likely to occur in older people, smokers, those with circulation problems, recent surgery, obesity, late in pregnancy and early postpartum, active malignancies, a history of previous thrombotic episodes and possibly with the use of high oestrogen contraceptives. It is more likely during immobility on flights of 4 or more hours’ duration. The risk may be increased by dehydration due to inadequate fluid intake. If at higher risk, it is advised to regularly perform leg and foot exercises during the flight, and book an aisle seat to facilitate moving around the cabin. 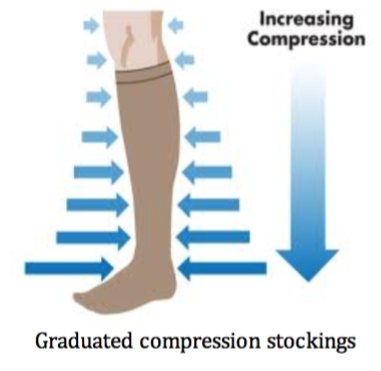 Good quality below-knee compression stockings may improve comfort for those with venous stasis in the legs or varicose veins - it is uncertain in whom and whether these make DVT less likely. 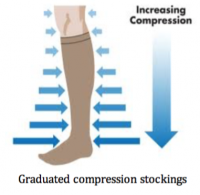 Poor circulation to the legs may be a contraindication to using compression stockings. Medical advice should be taken if in doubt before using them. 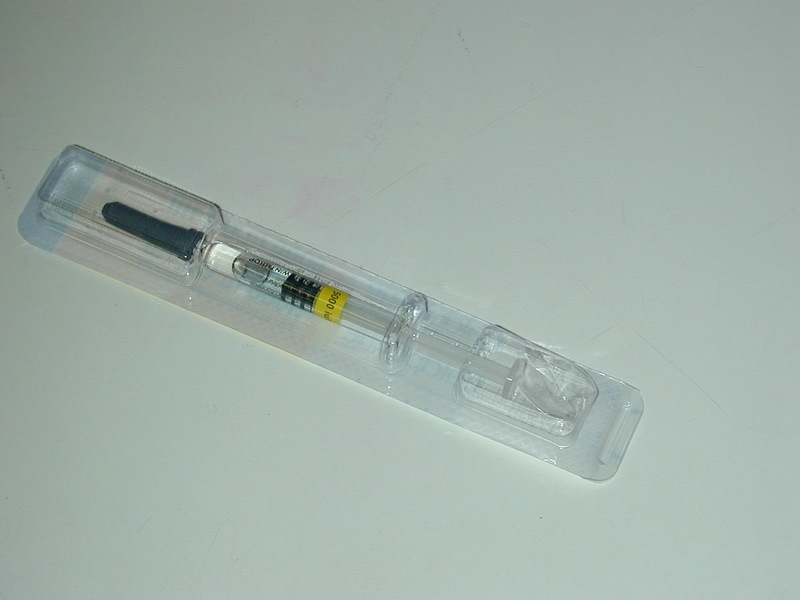 The use of low molecular weight heparin injections shortly before flying can be considered for those at particular risk of venous thrombosis - as used in hospitals when patients’ prolonged bed rest is unavoidable. This must be arranged in advance by agreement with the patient's doctor. This can include those, for example, with a previous history of thromboembolism. It will require determining if there are any contraindications, instructions and practice in how to administer it and a doctor's prescription.